Student-centered active learning strategies are heralded in the pedagogical literature as the best way to prepare students for the ever changing job market. Technology now enables students to access up-to-date information without the extensive rote learning involved in traditional teaching techniques. 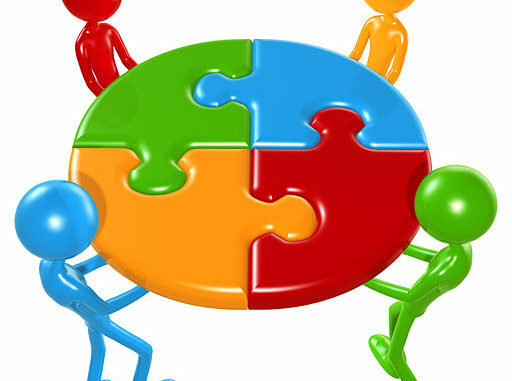 Across disciplines, employers have indicated a preference for transferable skills such as critical thinking, problem-solving, and effective communication as the most useful tools for success (Hinchliffe & Jolley, 2011; Watson, 2016). I often wonder if the field of anthropology is keeping up with the realities of life after graduation. In a few of my courses, I have changed my teaching strategy from the traditional lecture to a student centered active learning strategy called Problem-based learning (PBL). PBL promotes collaborative problem-solving by giving small groups of students (N = 4-6 students) practical open-ended case-based scenarios in real life settings. The goal of PBL is for students to become self-directed, independent learners who can apply theoretical learning to practical situations. PBL originated in the medical field where successful clinicians need transferable skills to function effectively in the practical setting. This has expanded to other programs such as engineering, architecture and nursing (Wood, 2003). Closed loop PBL is based on a seven step process where students are given a problem that is grounded in course material. They brainstorm a hypothesis and create learning outcomes, identify information that they need to solve the problem, determine individual tasks for each group member to independently gather information, reconvene to discuss their individual research gathering, test the hypotheses using their shared information, repeat the process if necessary, produce a collaborative PBL report (see Bate, Hommes, Duvivier, & Taylor, 2014; Schmidt, 1983; Wood, 2003). In PBL, instructors act as facilitators that meet with each group to facilitate their discussions and supervise their investigative process. PBL investigations are open-ended so assessment is based on the process of investigation and not necessary on the solution. PBL methods have resulted in an increase in student satisfaction (Klegeris & Hurren, 2011), problem-solving skills (Raiyn & Tilchin, 2015) and self-directed independent learning (Schmidt, Rotgans, & Yew, 2011). Theoretically, PBL has a logical application in anthropology because “learning by doing” has already been incorporated into anthropological research methodology. However, I have found that problem-based learning has logistical barriers in the Academy. The most significant barrier is resource requirements. My courses range from 50 to 800 students. Even with the smallest course, small group facilitation was not possible. 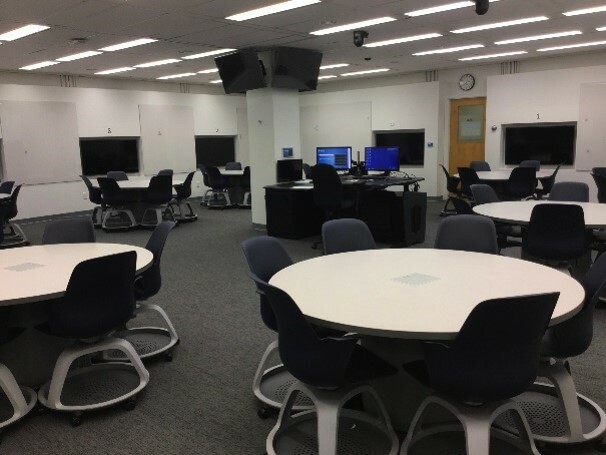 In an attempt to get around the resource issue, I facilitated the small groups through the course discussion board in a technologically enhanced classroom (Fukuzawa & Cahn, 2019). The results were mixed because many students did not feel that the online discussions accurately reflected their individual contributions to the group. They preferred to meet in person without the online facilitation. The second barrier was lack of student motivation toward independent self-directed learning. PBL relies on the intrinsic motivation of the student. We were surprised to find that the most successful students in the traditional model of the Academy were the most resistant to the PBL process. They were successful passive learners and suspicious of the lack of information and affirmation given by the PBL facilitator. Interestingly, these students were also resistant to peer collaboration. They did not appreciate the contribution of other group members and often sabotaged the group dynamics. They were also combative about the PBL assessment process because it did not align with a grade for the correct answer mentality (Fukuzawa et al., 2017). I have learned that an active learning course in a traditional curriculum can be difficult for the students. 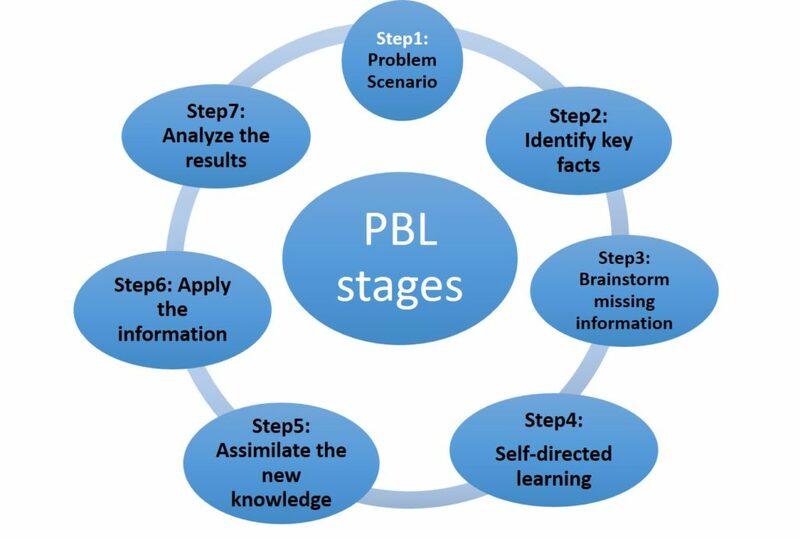 Unlike professional schools such as medicine, we see a diversity of students across disciplines who may not see the direct application of the PBL practical scenarios. Transferable skills may be valued in the job market so I hope that we as a discipline can find a compromise between applied and theoretical teaching that prepares our students for the reality they face upon graduation. Bate, E., Hommes, J., Duvivier, R., & Taylor, D. (2014). Problem-based learning (PBL): Getting the most of your studetns – Their roles and responsibilities: AMEE Guide No. 84. Medical Teacher, 36, 1-12. Fukuzawa, S., Boyd, C., & Cahn, J. (2017). Student motivation in response to problem-based learning. Collected Essays on Learning and Teaching, X, 89-101. Fukuzawa, S., & Cahn, J. (2019). Technology in Problem-based learning: helpful or Hindrance? International Journal of Information and Learning Technology, 36, 1, 66-76. Hinchliffe, G., & Jolley, A. (2011). Graduate identity and employability. British Educational Research Journal, 37, 4, 563-584. Klegeris, A., & Hurren, H. (2011). Impact of problem-based learning in a large classroom setting: Student perception and problem-solving skills. Advances in Physiological Education, 35, 408-415. Raiyn, J., & Tilchin, O. (2015). higher-order thinking development through adaptive problem-based learning. journal of Education and Training Studies, 3, 4, 93-100. Schmidt, H. (1983). Problem-based learning: Rationale and description. Medical Education, 62, 305-315. Watson, P. (2016). Transferable skills for a competitive edge: Mastering the “soft” skills can convince prospective employers of your potential. Nature Biotechnology, 21, 2, 211. Wood, D. (2003). ABC of learning and teaching in medicine: Problem-based learning. British Medical Journal, 326, 91-99.